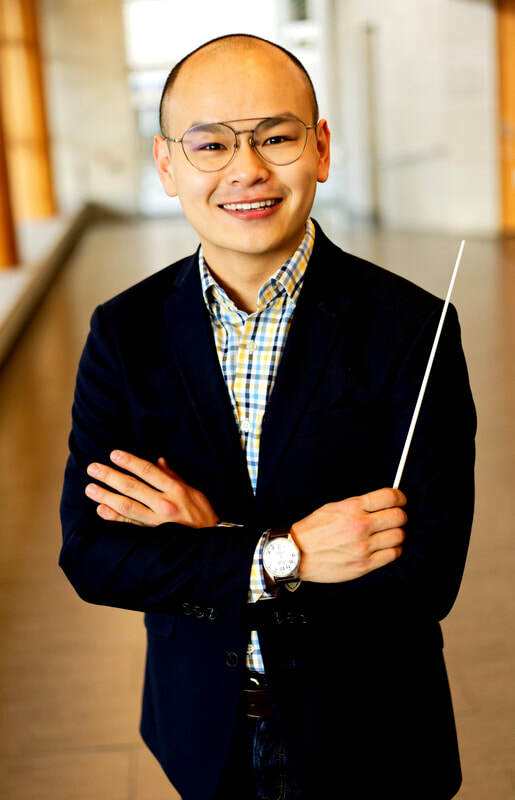 A native of Sarawak, Malaysia, Okawa Tan is in the second year of his Master of Music degree in Choral Conducting at the Eastman School of Music. At Eastman, he has conducted Bach cantatas BWV 105 and 150 with soloists and chamber ensemble, and presented his first recital with the Repertory Singers in the spring of 2018 featuring works by Norman Dello Joio and Samuel Barber. In August of 2018, Okawa was accepted as a Conducting Fellow in the Norfolk Chamber Choir and Choral Conducting Workshop, where he studied under Simon Carrington and conducted the premiere of Daniel Knagg’s Ego Sum Panis Vivus. During his summers, Okawa actively provides choral workshops and vocal training sessions to local church choirs and vocal ensembles in Malaysia. In 2014 and 2015, he served as the vocal technique lecturer at the East Malaysia Choral Conducting Workshop, organized by the International Christian Choral Conductor Society. This upcoming July and August, he will teach at conducting workshops in Sarawak, and Sabah. Okawa has been an active member and soloist of the East Malaysia Bach Cantata Festival Singers and Bachfest Malaysia since 2015 where he has had opportunities to collaborate with local musicians and perform major works like the St. John Passion and B minor Mass under the direction of artistic director Dr. David Chin. He has also performed with the Hong Kong Bach Festival, Opera on the James (Lynchburg, VA), and the National Sacred Honor Choir (Houghton, NY). Since moving to Rochester, he is in high demand as a tenor section-leader and soloist, singing with both professional and university-affiliated choral ensembles such as Voices, Eastman Chorale, Collegium Musicum, First Inversion, and Schola Cantorum. A current student of Dr. William Weinert, Okawa has also studied conducting with Dr. David Chin, Brad Lubman, Simon Carrington, Dr. John Hugo, and Dr. John Kinchen, and voice with Dr. Wayne Kompelien and Chad Somers.